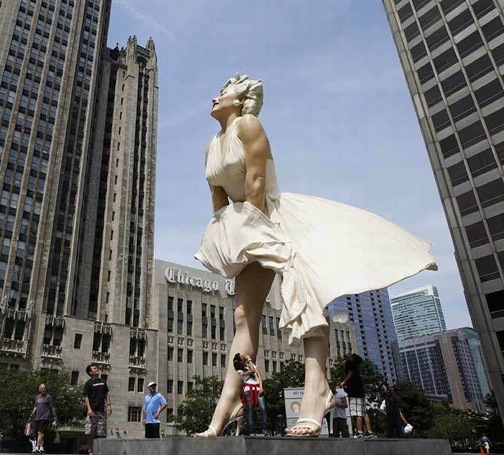 Wondering how the statue is able to stand on it's own weight without support? 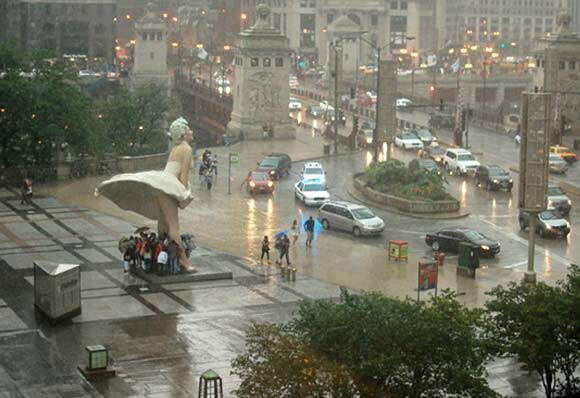 What A Fitting Tribute to Marilyn in the Windy City! Even the Youth are Curious! I guess that now I have seen it all.